A 5th wheel is a great way to enjoy the RV lifestyle. 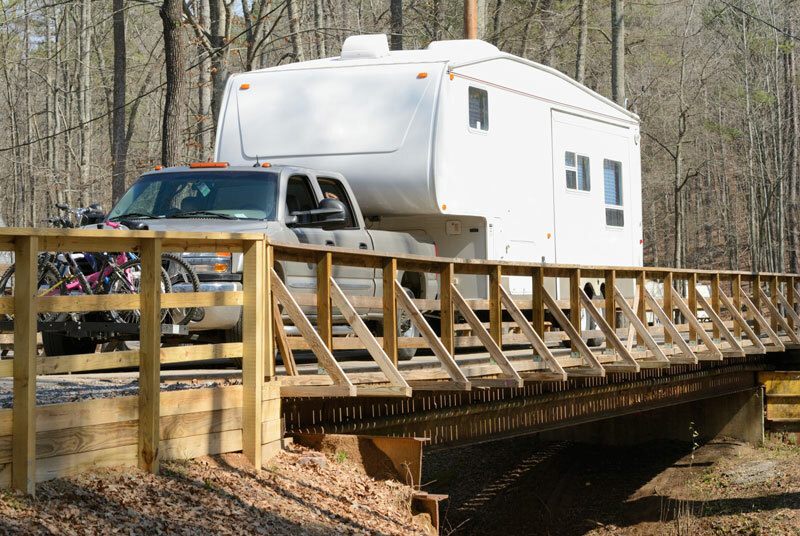 However, most 5th wheel owners find the ride of their rig so rough and jarring that they consider dumping the whole thing for a motor home or going back to a travel trailer. Why a rough ride may cost you much more than just a sore back or a few broken dishes. What products are available to dampen or completely eliminate bouncing and chucking. What other features to look for in a quality 5th wheel hitch. Why your RV dealer is not your best source for trailer hitch information. The information provided in our free report will save you thousands in unnecessary RV repairs and greatly improve your enjoyment of RVing. And if you enjoy the journey, you'll be more likely to enjoy the lifestyle for many years to come. We will not share your information with any other company. Simply provide your name and e-mail address to the right and we'll download your free report.